The BMW M3 DTM set new standards in its first DTM season in 2012 reaching a top speed of 300 km/h with a power output of 480 bhp. It's certainly the perfect car for testing your skills to the limit! So if you have the courage and natural talent to push back the boundaries on your Carrera racetrack - you're sure to be rewarded with a place at the top of the podium. The 1:43 scale Carrera GO!!! 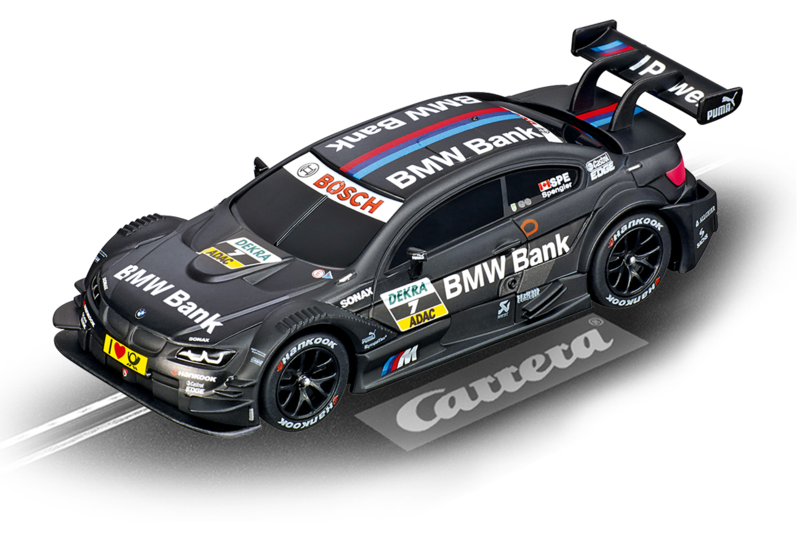 BMW M3 DTM No.7 slotcar wins new fans everywhere with top quality authentic details. This car provides a perfect introduction to the Carrera racing world for children of 6 years and up.